Prompt water monitoring and quality control are essential for public health protection and risk regulation. Consequently, the rapid, specific and sensitive detection of microbial indicators and waterborne pathogens represent a key challenge in modern water quality monitoring. 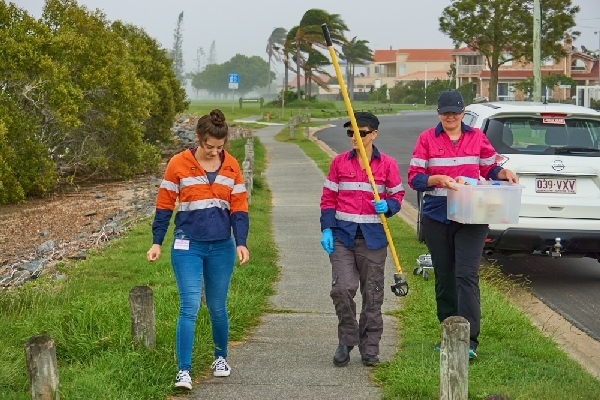 In the last years the application of monitoring concepts and technologies was expedited at the TZW as well as at the CSIRO and Griffith University. Both the Australian and German collaborators have developed new methods in these specific areas, which enables deep collaboration and exchange possibilities with great benefits and synergistic effects. 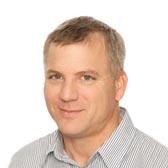 Simon Toze obtained his PhD in Environmental Microbiology from the University of Queensland in 1992 and has been working with CSIRO since 1994 on a range of water based topics. He is also an honorary Associate Professor with the UQ School of Population Health. He has a range of research interests which include studying the fate and behaviour of microbial pathogens in the environment; the influence of groundwater microorganisms on the biogeochemistry of aquifers; and the development of rapid and accurate molecular based methods for the tracking, detection and enumeration of viable microbial pathogens in environmental water samples. 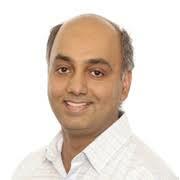 Dr. Jatinder Sidhu is a Senior Research Scientist in CSIRO’s Oceans and Atmosphere Business Unit, and team leader Coastal Microbiology and Biogeochemistry within the Coasts program. Dr. Sidhu’s research focuses on public health and environmental microbiology with an emphasis on the quantification, fate, and transport of pathogenic microorganisms in the environment (stormwater, surface water, marine and coastal water, groundwater, recycled water, wastewater, and biosolids). His research work is also focused on the use of high-throughput genomic technologies for surveillance of pathogens and antibiotic resistance determinants in the environment. His work includes extensive laboratory-based research to develop and evaluate methods for concentration and quantitation (molecular methods) of enteric pathogens in the laboratory with subsequent application in field-based investigations. The gathered data from the field-based studies is then used for human health risk assessments and development of risk mitigation strategies. The goal of his research is to deliver high-quality science to achieve sustainable use of water resources which meets health and environmental needs at both national and international level. He is a member of Australian Strategic and Technical Advisory Group on Antimicrobial Resistance (ASTAG). Associate Professor Anne Roiko is the Discipline Lead for Environmental Health in the School of Medicine, Griffith University. 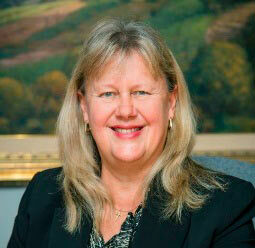 Anne has over 30 years of professional experience in the field of environmental health, predominantly in academia. She has worked overseas as a researcher in the National Public Health Institute in Finland, the Chinese University of Hong Kong and within the water policy unit of the Environmental Protection Department in Hong Kong. She has an extensive background in transdisciplinary, team-based research, with expertise in quantitative microbial risk assessment, risk communication, health and environment data linkage and systems modelling. Her current research focuses on systems-based modelling of water-related health risks, the transfer of risk-based evidence into policy and predicting and managing the health impacts of climate change. 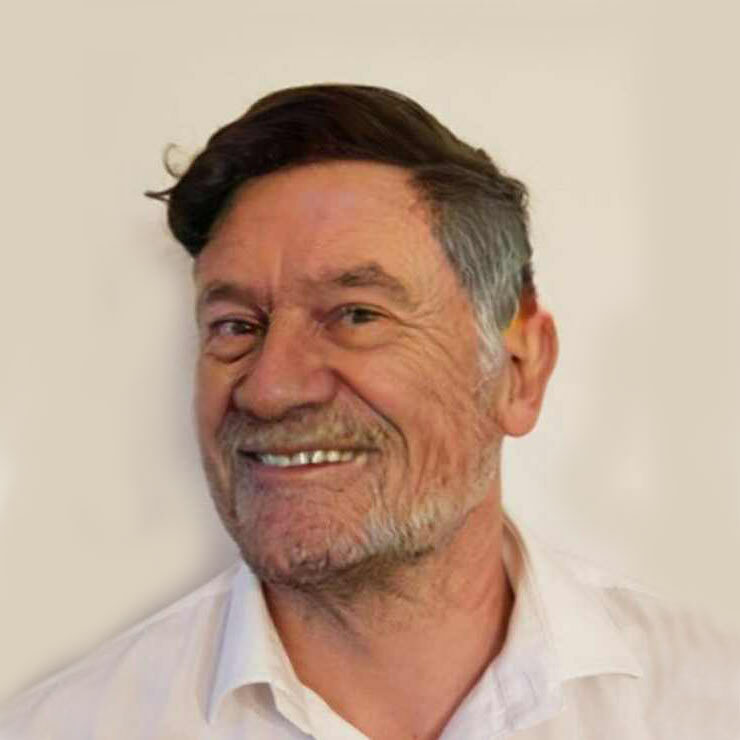 Declan Page holds a PhD in chemistry from the University of South Australia specializing in drinking water quality and management and an MBA from Monash University specialising in research management. He worked for several years in water utilities across Australia in catchment management, source water protection, and supply of water to rural and remote communities before he joined CSIRO in 2005. 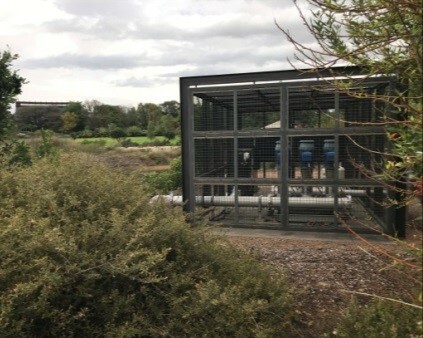 He has had a significant influence on Australian national guidance and on the science of natural and engineered water treatment and reuse systems with a particular emphasis on Managed Aquifer Recharge. He has published extensively and is a sought after national and international collaborator. He currently leads a high performing research group, delivering water reuse options to meet Australia’s urban water demands. In this work, he advocated consolidation of the assessment and planning stages of such schemes into a single nationally accepted framework and it remains the only national framework consistent with the WHO Drinking Water Guidelines. This work has been further developed by collaboration with international research projects such as the European RECLAIM WATER project where he led the international risk assessment case studies across Europe, China, Mexico, South Africa and Australia. His work in risk assessment and problem solving has contributed to the development of a full-scale follow-on project, SAPH PANI in India. 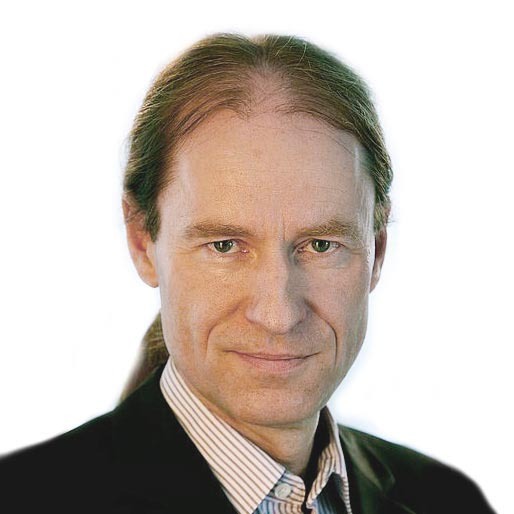 Prof. A. Tiehm, the head of the department Microbiology and Molecular Biology at TZW with experience of health related water microbiology, environmental bioremediation and wide knowledge of water diagnostic. He is leader of international research projects and a leading expert for detection of different bacteria and bacterial groups in water assessment of biodegradation processes, microbiological detection of antibiotic resistance bacteria and application of molecular biological techniques for the evidence of antibiotic resistance genes in water. Furthermore, he has extensive experiences with the elimination of chemical substances and microbial degradation in field applications. Johannes Ho obtained his PhD in molecular biology and focused on ecology, evolution and bioinformatics at his Master of Science. He is working on the development of modern detection methods for waterborne viruses and bacteria at TZW since 2010. 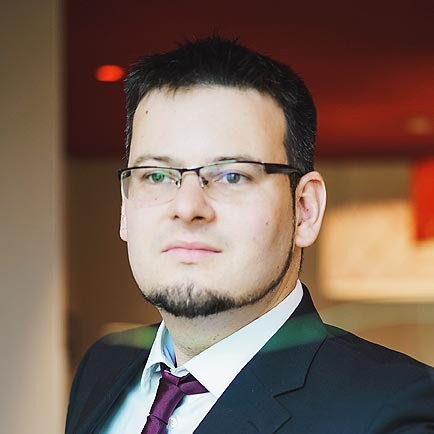 His current research is focused on molecular detection via qPCR, flow cytometry, live/dead differentation and the concentration of large water volumes. Claudia Stange graduated with diploma in engineering (main field: biotechnology) at the University of Applied Sciences Mannheim, Germany, in 2005. Since that time she works in the department of environmental biotechnology at the TZW as project scientist. She is particularly experienced in the application of molecular biological analysis of microorganisms (e.g. pathogenic and indicator) organisms), antibiotic resistance genes and Microbial Source Tracking markers. Lab for the concentration, extraction and detection of bacteria, viruses and functional genes e.g. for antibiotic resistances and microbial degradation of various contaminants. Organisms are concentrated and their DNA and RNA is extracted with chemical or physical treatment and purified for post applications. 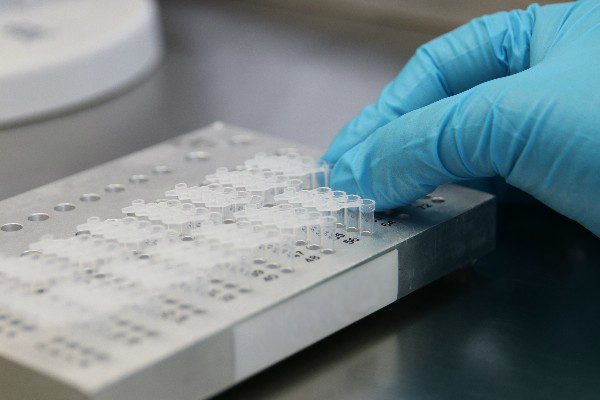 Several approaches are available for quantification of specific DNA or RNA sequences following quality control and deeper analysis. 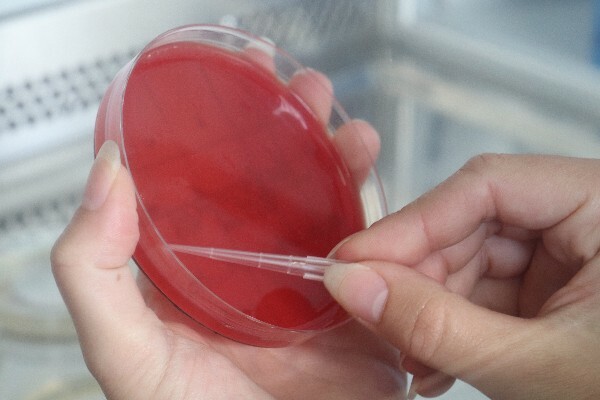 Lab for cultivation techniques around indicator bacteria and health related organisms like antibiotic resistant bacteria, bacteriophages and legionella. Additional analytical methods like AOC (assimilable organic carbon) or MALDI-TOF-MS can give a deeper view in bacterial communities. 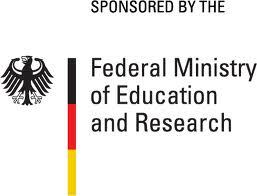 The GAbi project is one of 27 projects funded by the German Federal Ministry of Education and Research (BMBF) in the frame of the APRA program to establish joint research centres with partners in the Asia-Pacific Research Area (APRA). 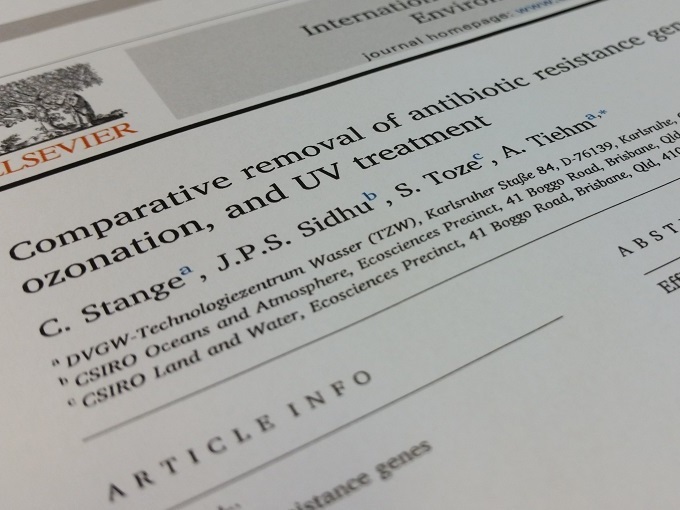 A joint manuscript written by researchers from CSIRO and TZW was accepted for publication in the International Journal of Hygiene and Environmental Health. The publication is entitled “Comparative removal of antibiotic resistance genes during chlorination, ozonation, and UV treatment”. 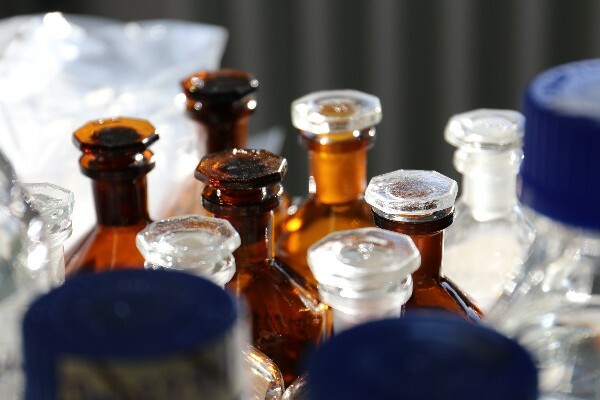 In this study the removal of antibiotic resistant bacteria and antibiotic resistance genes by three disinfection processes (chlorination, ozonation, and UV treatment) was investigated on a laboratory scale. Within the framework of GAbi, a student from Griffith University could perform a study project in Germany. 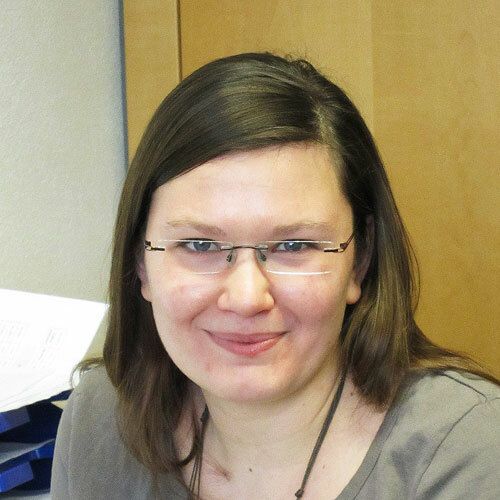 Katharina Gutjahr-Holland focused on the detection of antibiotic resistant bacteria, the genes and mobile genetic elements in raw water used for drinking water production. She successfully learned to use cultural methods and molecular biological techniques for the detection of antibiotic resistance in the environment. In a next step, evaluation of suitability of these methods for quantitative microbial risk assessment (QMRA) will be performed in cooperation with her supervisor Prof. Anne Roiko, Griffith University. To further strengthen the cooperation with CSIRO, a workshop with representatives of different departments was organized in Perth. In the meeting, Dr. Anna Kaksonen, group leader of Biotechnology and Synthetic Biology, introduced CSIRO work in the areas (1) biodegradation of environmental pollutants, (2) biological and chemical research into biotransformation processes and (3) monitoring of microbial communities in natural and engineered environments. The workshop helped to identify additional topics for the next 3 years cooperation research proposal. 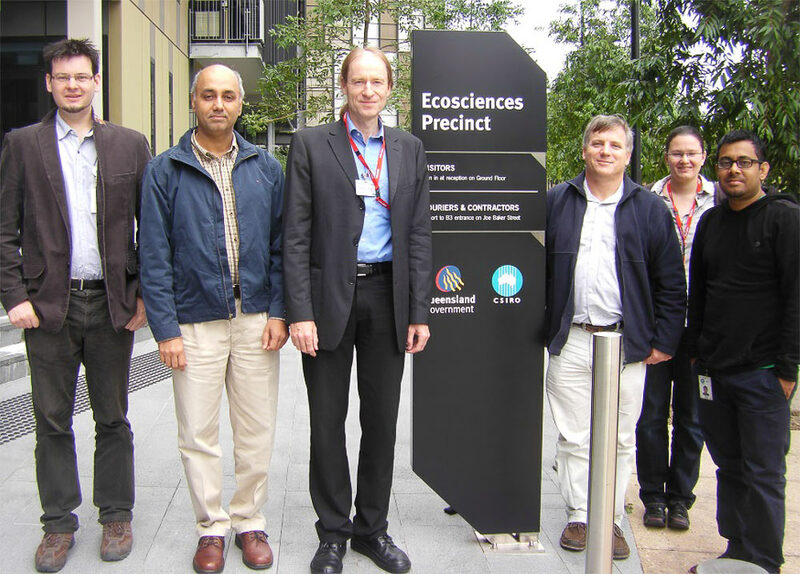 In Adelaide, the GAbi project partners met the group of Dr. Declan Page at CSIRO Adelaide. Dr Page is head of Groundwater Contamination and Remediation at CSIRO. His research focusses on water reuse and especially managed aquifer recharge. 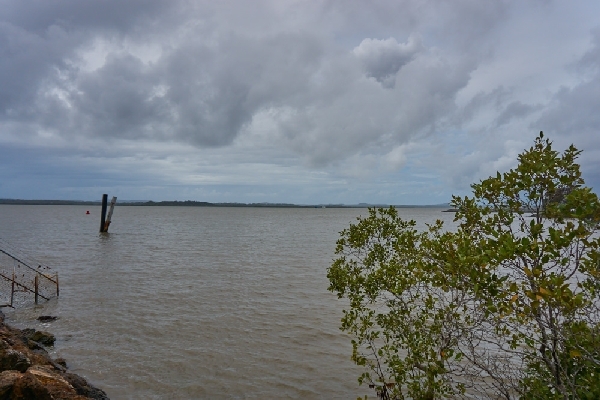 During the meeting, results from previous sampling campaigns were exchanged, discussed and prepared for joint paper to be published with Dr. Jatinder Sidhu and Dr. Simon Toze (CSIRO Brisbane). Additionally, CSIRO pilot test sites were visited and future joint research topics identified. Prof. Anne Roiko organized a meeting at Griffith University. Dr. Simon Toze (CSIRO), Prof. Andreas Tiehm and Claudia Stange (TZW) attended the meeting and presented the GAbi project concept. Prof. Anne Roiko has over 30 year experience in environment and health topics. During the meeting, cooperation in the areas of risk assessment and risk communication, the share of heath related and environmental data as well as system modelling were discussed. The cooperation agreement between TZW and Griffith University was prepared, and officially signed afterwards. 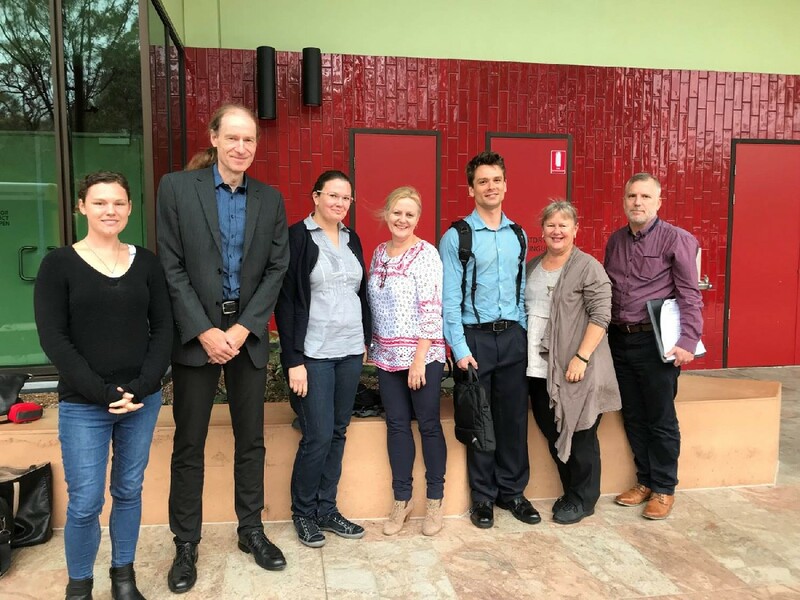 The research concept for visits of two Griffith University students to TZW in Germany was another successful outcome of this meeting. 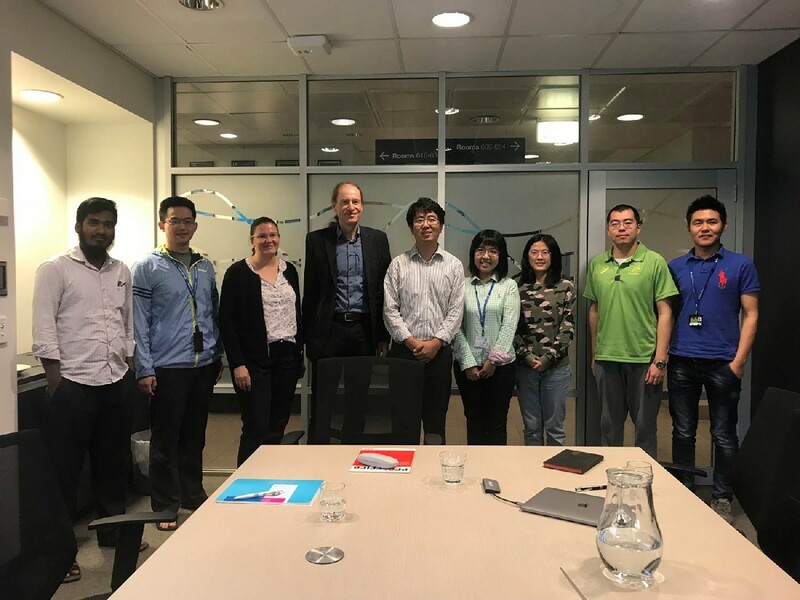 At the first GAbi workshop in march 2018, TZW and CSIRO project members met Dr. Jianhua Guo, expert in microbiology and group leader at the Advanced Water Management Center (AWMC) of Queensland University. As result of shared research topics, a second GAbi workshop was organized at Queensland University. 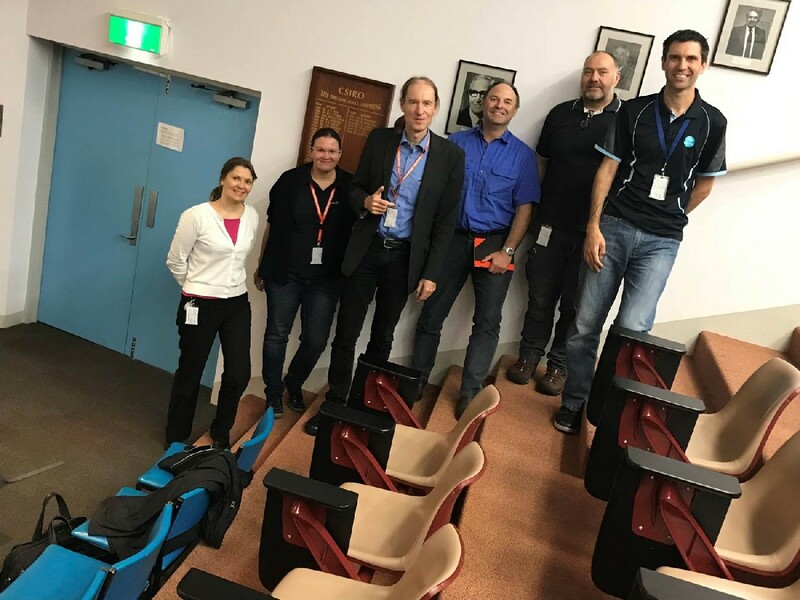 Scientific topics such as the spread of antibiotic resistance and biological pollutant degradation in contaminated groundwater were presented to a larger audience of about 50 students at Queensland University. Future cooperation is foreseen with joint research e.g. focusing on antibiotic resistance genes transfer and exchange of students. The October 2018 travel to Australia started at CSIRO Brisbane for a meeting with Dr. Simon Toze and Dr. Jatinder Sidhu to update latest research results. Future sampling campaigns and the proposal concept for next 3 years cooperation were developed. As important result of the first GAbi cooperation period, two manuscripts for international journals were prepared. 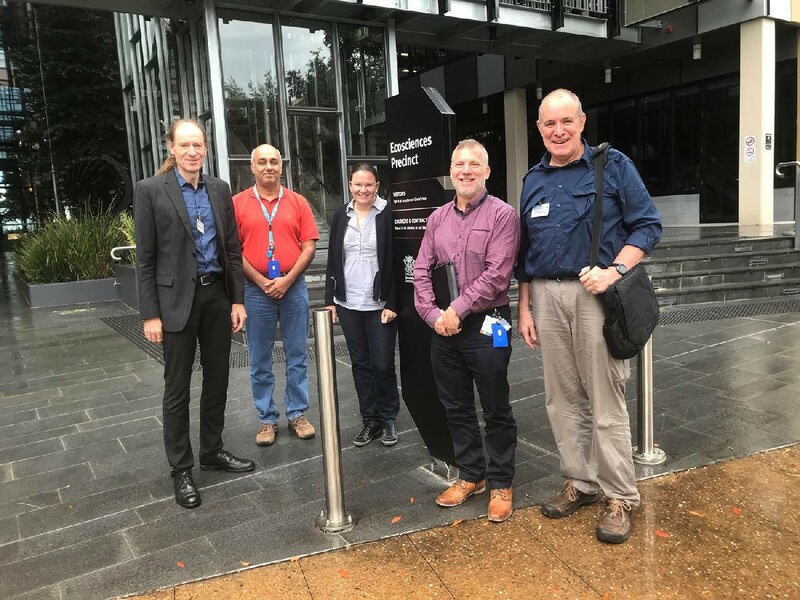 GAbi project partners Professor Andreas Tiehm and Claudia Stange (TZW) also met with Dr. Andy Steven, research director of CSIRO Ocean and Atmosphere, and Professor Paul Jagals from Fiji National University. 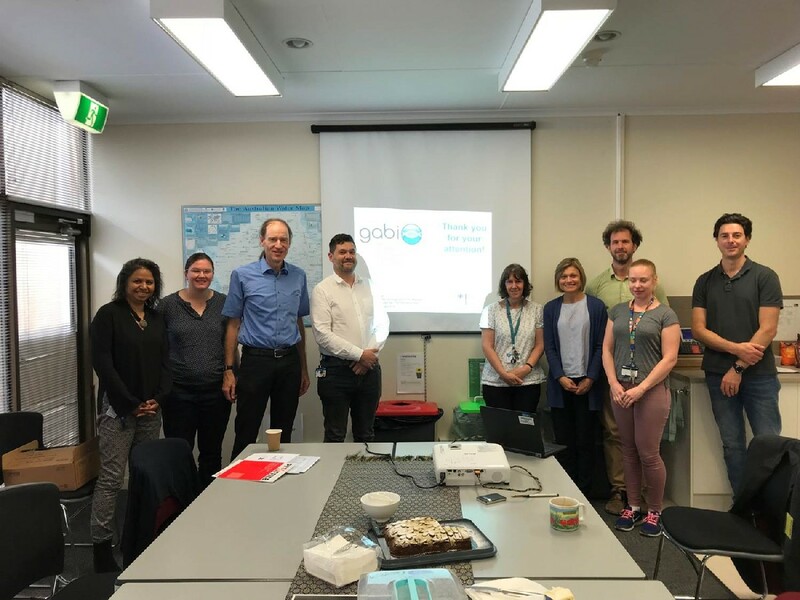 The sanitation and monitoring concept on south pacific islands was discussed as well as suitable measures to assess microbiological water quality in this region as part of the GAbi project. 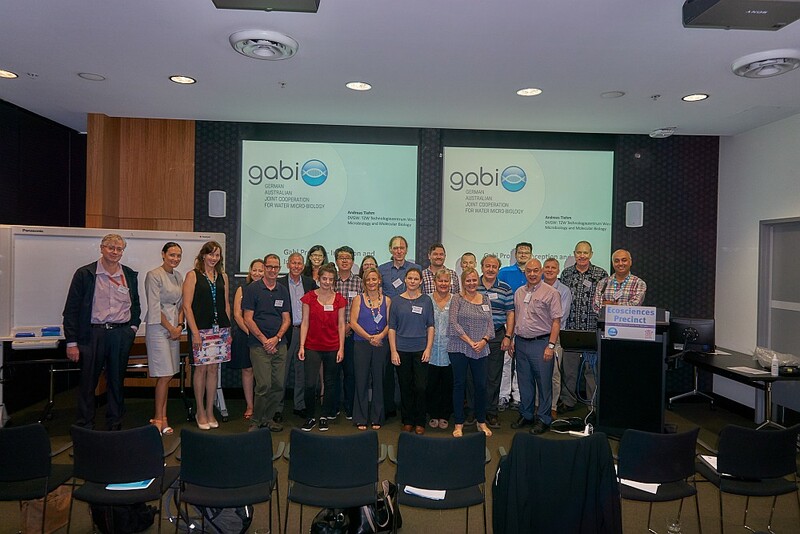 The first GAbi workshop focused on recent progress in water science, research needs, and opportunities for joint German-Australian studies. 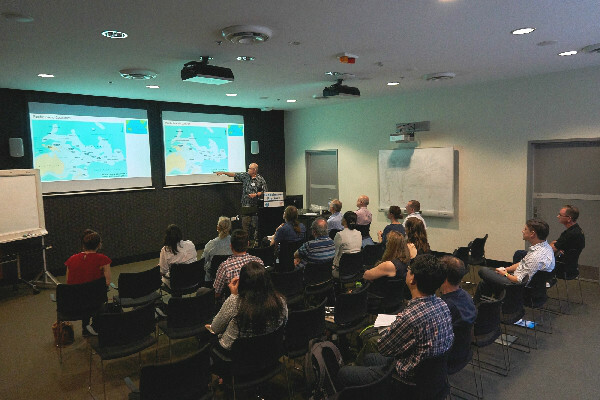 Beside presenters from CSIRO and TZW, speakers from the Australian waterworks, the University of Queensland and the Global Water Research Coalition (GWRC) gave an overview of current research needs. Therefore the workshop could cover broad topics from local to global interest. Additionally, detailed talks were hold focusing Microbial Source Tracking, detection methodologies, antibiotic resistances and issues with indicators. Finally, in a round table discussion, details of the future partnership and cooperation with universities were discussed. At this point we like to thank everyone for a very successful workshop with fruitful discussions. 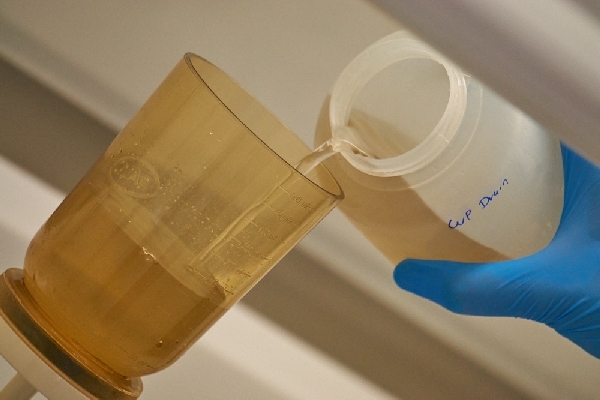 Samples were concentrated using a multi-step ultrafiltration from one liter to 3 milliliters. 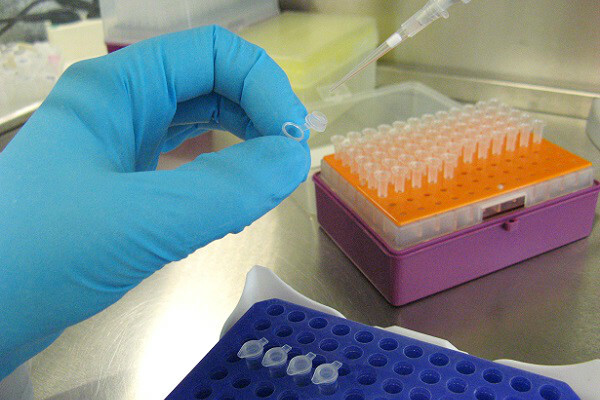 After extraction of RNA and DNA, samples were prepared for the detection of viruses in Germany. Target organisms are human pathogenic viruses like norovirus or enteroviruses. The analysis will help understanding the distribution of RNA-Viruses in surface water during dry and wet periods. Due to the widespread use of antibiotics in human and veterinary medicine, resistances have spread in the environment during the last few years. However, knowledge with respect to antibiotic resistant bacteria and antibiotic resistance genes in raw water used for drinking water production is limited. To help understanding the distribution of antibiotic resistant bacteria at public beaches, selective agar plates were used to prove the presence of Vancomycin resistant enterococci (VRE), Methicillin resistant Staphylococcus aureus (MRSA) and Extended spectrum beta-lactamase (ESBL)-producing coliform bacteria. Since VRE, MRSA and ESBL can cause severe infections, these types of antibiotic resistant bacteria are highly relevant. 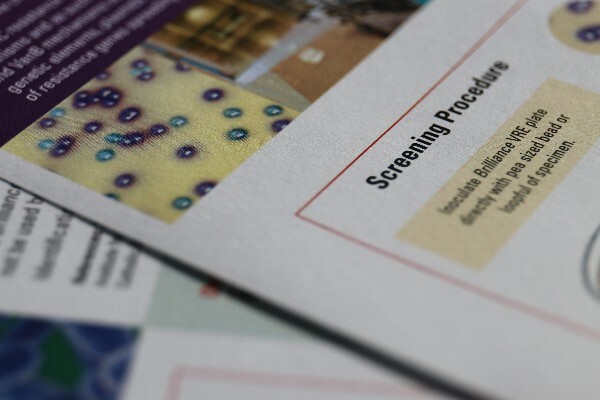 Microarrays are a promissing tool to reveal the pathogenic potential of microbial communities. Highly parallel microarrays provide a culture-independent method that permits over 100.000 of assays to detect target genes – e.g. involved in antibiotic resistance - in a single run. Beside the preparation of nucleic acids for the analysis, the complex result data structure has to be analyzed and interpreted. 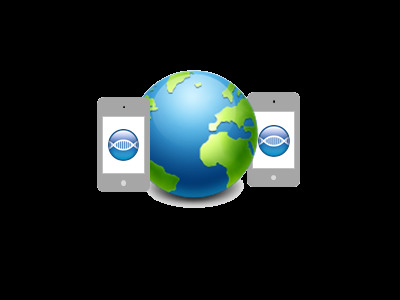 During the scientific exchange, TZW researchers were trained in a data processing pipeline including analytical tools. 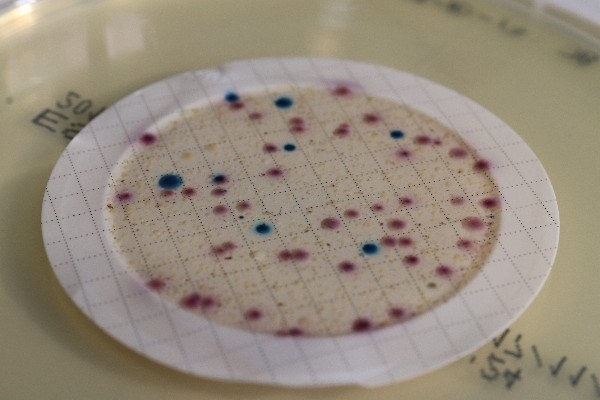 In conclusion, current microarray data could be analyzed and displayed constructively to give information about antibiotic resistance and pathogen profiles. 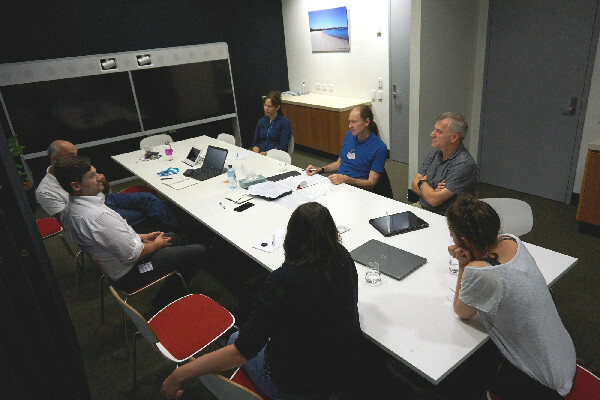 The upcoming meeting of CSIRO and TZW in March 2018 is planned in frequent video conferences. 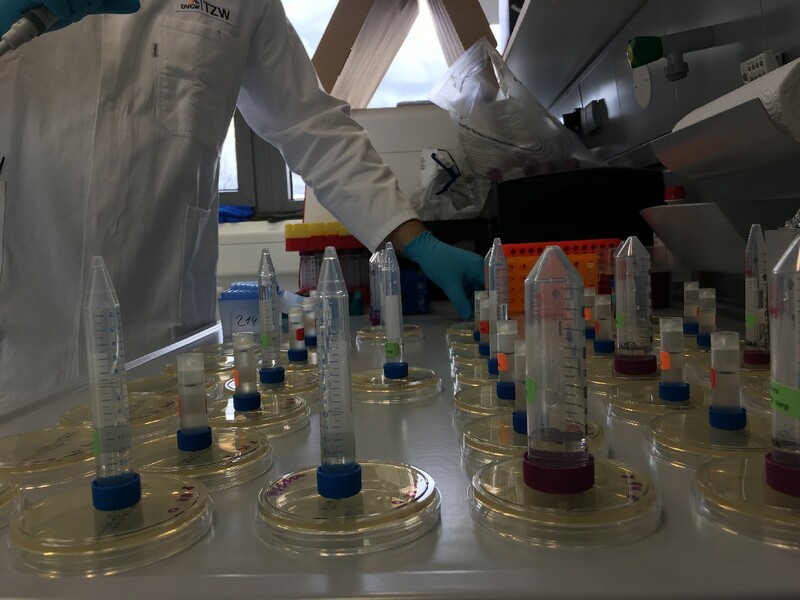 The current scientific program includes field studies in the area around Brisbane, Lab analysis of antibiotic resistant bacteria and RNA viruses as well as a deep knowledge exchange focusing microarray technology. Exchange of information about running and planned projects Reports about the progress in the molecular analysis of water Planning of the joint work. 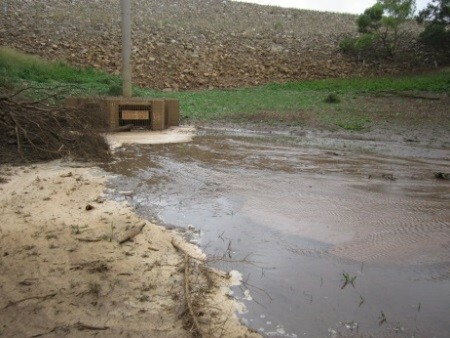 Amplicon-based profiling of bacteria in raw and secondary treated wastewater from treatment plants across Australia. Quantitative detection of viable helminth ova from raw wastewater, human feces, and environmental soil samples using novel PMA-qPCR methods. Assessment of genetic markers for tracking the sources of human wastewater associated Escherichia coli in environmental waters. Quantitative PCR measurements of Escherichia coli including shiga toxin-producing E. coli (STEC) in animal feces and environmental waters. Sensitive detection of human adenovirus from small volume of primary wastewater samples by quantitative PCR. Heterogeneous asymmetric recombinase polymerase amplification (haRPA) for rapid hygiene control of large-volume water samples. Long amplicon (LA)-qPCR for the discrimination of infectious and noninfectious phiX174 bacteriophages after UV inactivation. Chloroethene degradation and expression of Dehalococcoides dehalogenase genes in cultures originating from Yangtze sediments. Combination of crossflow ultrafiltration, monolithic affinity filtration, and quantitative reverse transcriptase PCR for rapid concentration and quantification of model viruses in water. Consideration of emerging pollutants in groundwater based reuse concepts. Antibiotic resistance and virulence genes in coliform water isolates. Biodegradation of pharmaceuticals and endocrine disruptors with oxygen, nitrate, menganes(IV), iron(III) and sulfate as electron acceptors. Comparing methods for virus and bacteria concentration from different water sources. Antibiotic resistance genes and virulence genes in surface water samples from Germany and Australia. Prevalence of clinically relevant antibiotic resistance genes in surface water samples collected from Germany and Australia. gabi - a german australian joint cooperation for water-biology. Copyright © 2019. All Rights Reserved. Imprint Data Protection Statement DVGW E.V.